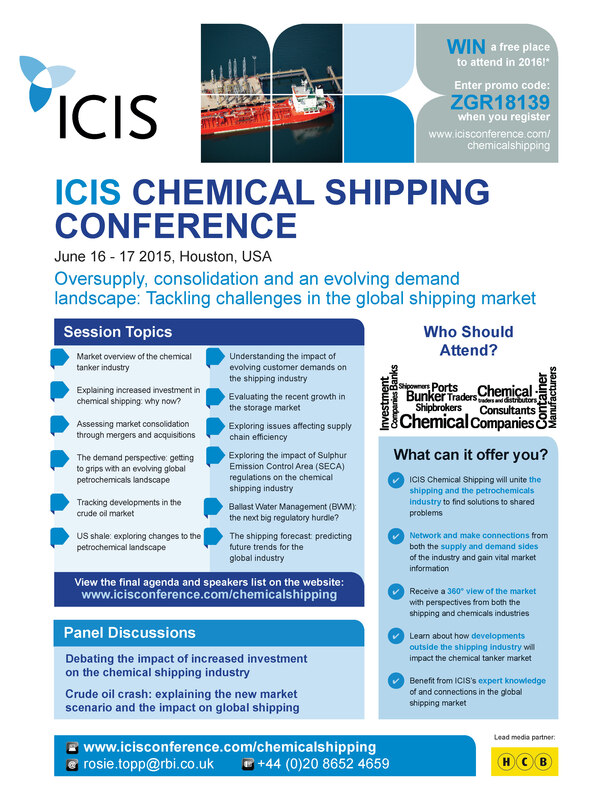 Posted on May 1, 2015 by Karatzas Marine Advisors & Co.
Dear friends and colleagues,Find out why you need to be part of the ICIS Chemical Shipping Conference taking place this June in Houston. Top reasons to attend the ICIS Chemical Shipping Conference! Win a free place to attend the conference in 2016!